In the fiction which appears in FANTASY Magazine we shall first of all look for a sound, workable scientific basis, which is true within the scope of our knowledge today. We shall allow no liberties to be taken with scientific fact, no phenomena with a foolishly inadequate explanation can take place. But we shall accept no stories which contain merely long-winded dry-as-dust lectures on science, and forget the story element. Love, perhaps one of the greatest motivating forces of our universe, can play a big part in many stories, but it shall never be dragged in ‘by the hair.’ Action, mystery, suspense must be in every story… FANTASY Magazine will only print stories that are scientifically plausible, and entertaining also. The fantasy publishing industry at the time was generally struggling to define sub-genres that would attract a steady readership. 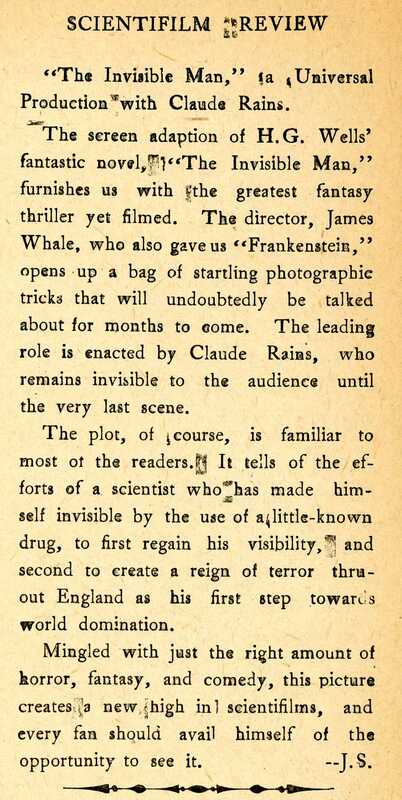 Here the editors have drawn a clear line: no ghosts, no vampires, no fairies would be appearing in FANTASY Magazine. In this same issue, Julius Schwartz captured comments from the editors of the leading pulps of the day on their various directions. Thrilling Adventures is quoted as saying they will use “an occasional pseudo-scientific story.” Blue Book will continue using science fiction at frequent intervals. Unusual Stories have on hand a large amount of ‘literary’ science fiction stories by favorite authors. The Fantasy Fan will specialize in the weird fiction of Clark Ashton Smith, H.P. Lovecraft, Robert E. Howard, and August W. Derleth. 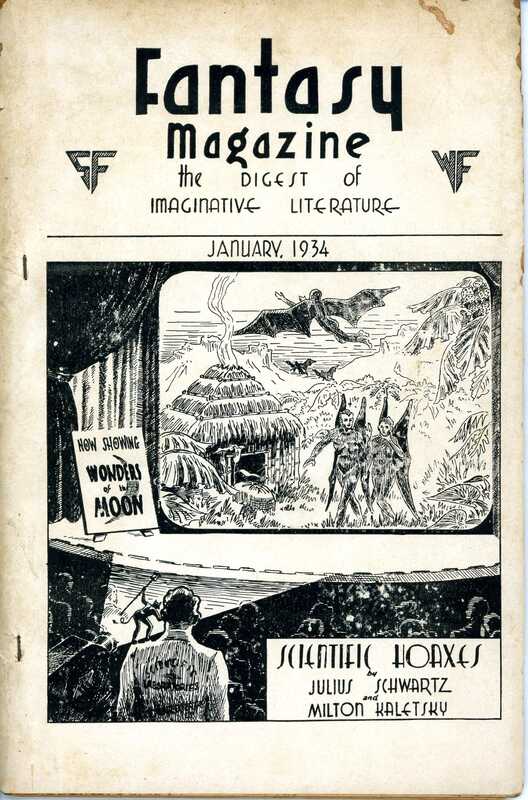 And finally, Fantasy Magazine proudly offers its super-science fiction novel, COSMOS, written by eighteen of science fiction’s best best writers, and masterful stories by Dr. Keller, P. Schuyler Miller, L.A. Eshbach, Arthur J. Burks, Raymond A. Palmer, Fletcher Pratt, and others. Reader commentary on Cosmos was sparse in this issue. That a reader would find the story’s hyphenated alien names more distracting than, say, the gas-bag tentacled bodies of the Neptunians or the intensely awkward title “the Wrongness of Space” is a great reminder that each person may have their own unique boundaries where the willing suspension of disbelief just cannot cross.